Rarely are exceedingly simple watches striking to the point of being obvious but the Breguet Classique 5175 “Ginza Anniversary” certainly is. Its styling also speaks of consumer taste in Japan, which is traditional and proper. 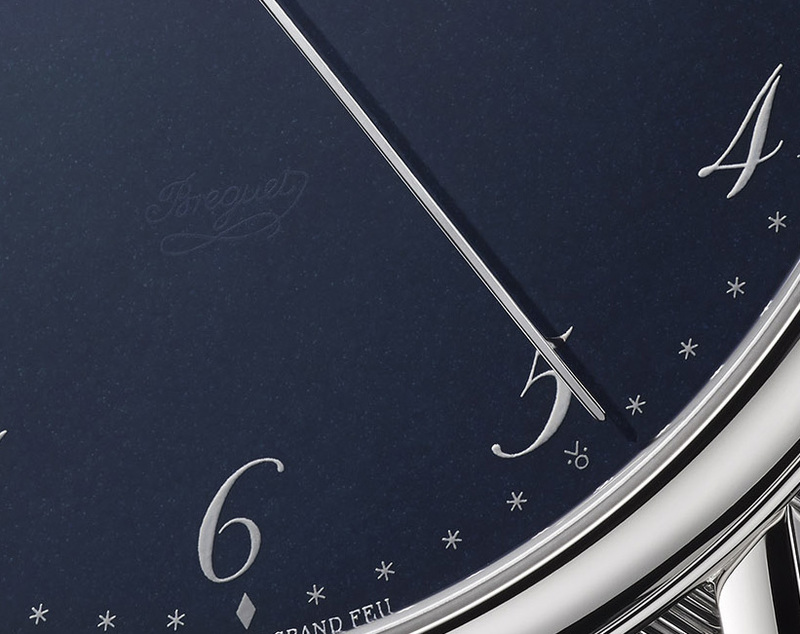 The most unusual quality of the Classique 5175 is the blue grand feu enamel dial. Such dials are almost always white, inevitably beautiful but sometimes too common. 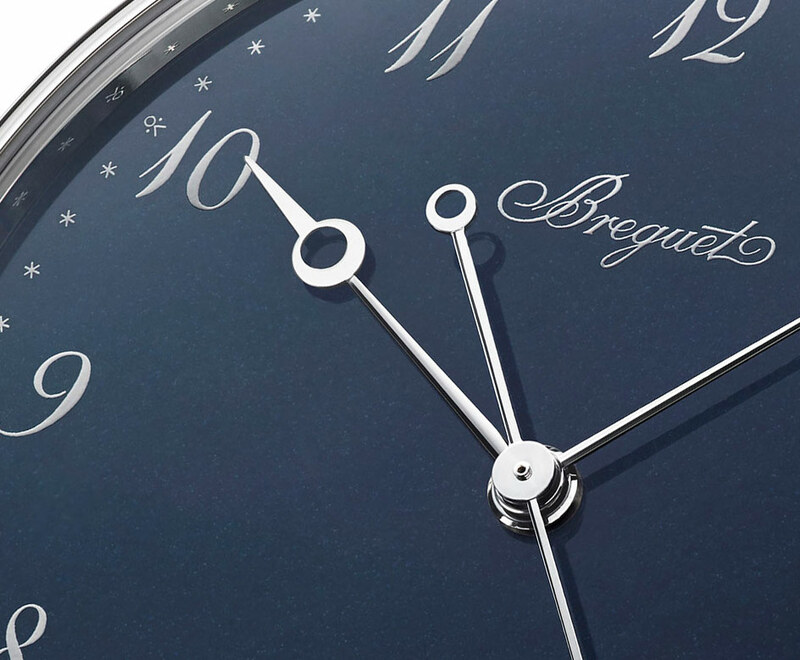 Blue is decidedly unusual, and it is a first for Breguet. The italicised Breguet-style numerals are made of powdered platinum while the hands are rhodium-plated, Breguet-style naturally. And the minute track is comprised of stars and symbols, a detail taken from vintage Breguet pocket watches. Like all other Breguet watches, this has the “secret signature” faintly engraved on the dial at six o’clock. 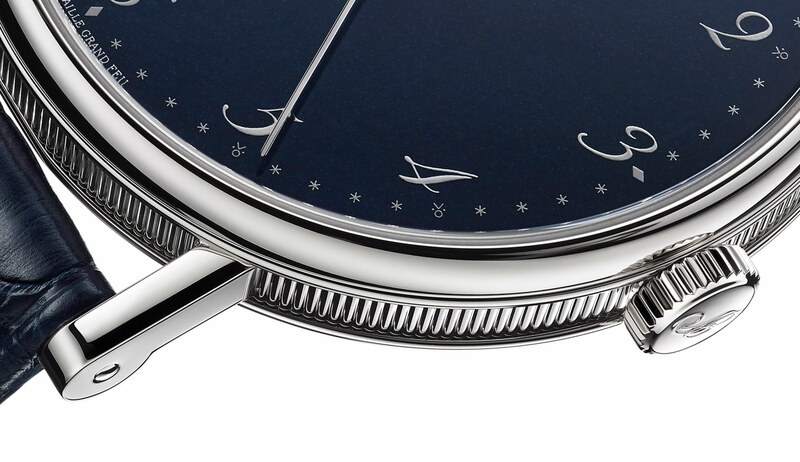 The watch is a variant of the Classique 5177BB/29/9V6, but what separates the two is that the limited edition has a blue enamel dial sans date display – an crucial improvement for traditionalists (and rendering the movement a separate calibre). The case is white gold and 38mm in diameter, constructed in the typical Breguet style with narrow welded lugs, a fluted case back and narrow, domed bezel. Inside is the cal. 777J (the suffix is for “Japan”), an automatic movement with a 55-hour power reserve. Like many other Breguet movements, it has a silicon escape wheel, pallet fork and hairspring. A limited edition of just 10 watches, the Classique 5175 was conceived to mark the 10th year of the Breguet boutique in Ginza, the poshest shopping district in Tokyo. It’s located on the third floor of the grand Nicolas G. Hayek Center, a 14-floor glass edifice with one Swatch Group brand boutique per floor and a restaurant. Designed by renowned Japanese architect Shigeru Ban, the building probably made parent company Swatch Group more money via appreciating real estate values than watch sales. 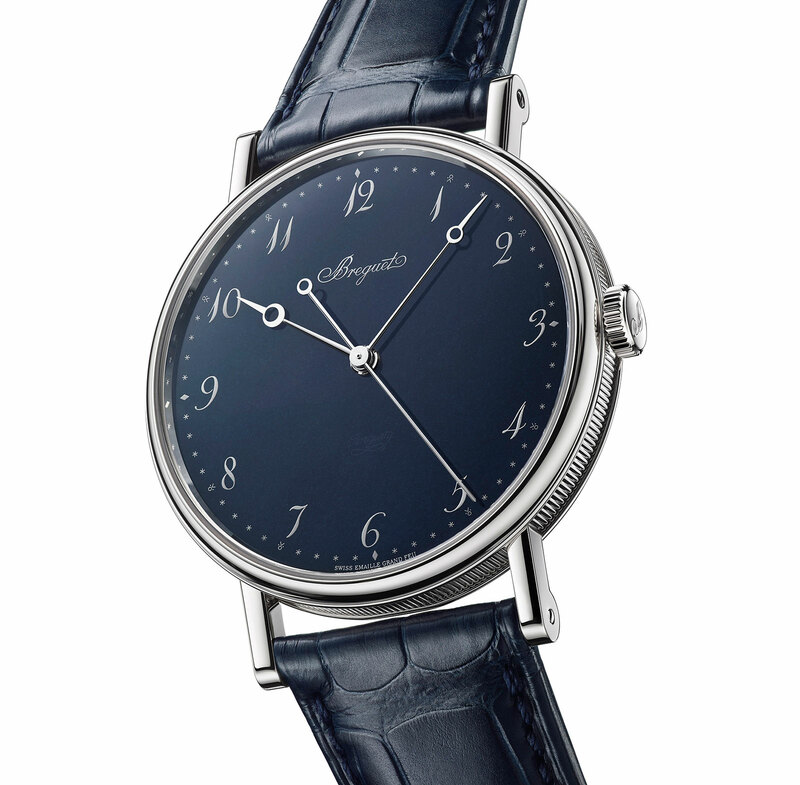 The Classique 5175 “Ginza Anniversary” is limited to 10 pieces, available only at the Breguet boutique in Ginza, Tokyo. It is priced at ¥3.132m, local tax included, which is equivalent to US$27,800.